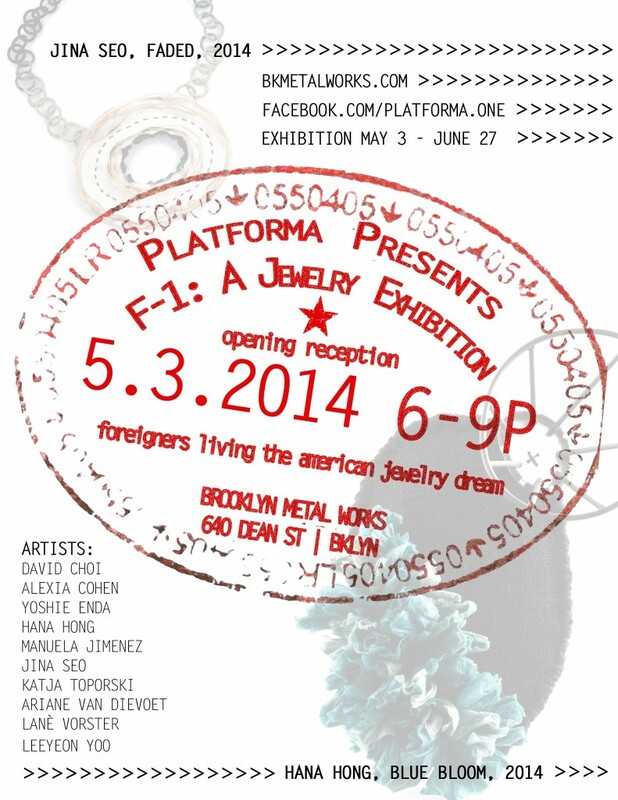 Brooklyn Metal Works and Platforma are proud to present F-1: an exhibition of contemporary art jewelry, opening on May 3rd from 6-9pm. Please join us in the gallery for a reception featuring 10 international jewelry artists who have been trained here in the United States. This show will be on view through June 27th.